Long hot summer days often lead to inactivity and contemplation. This unpublished piece of original artwork by Edward Gorey exemplifies slowing down the hectic pace of life. A forgotten urn resides on a gently sloping, unkempt landscape with wispy clouds gently floating past. The only witness to this tranquil day is a wide eyed frog positioned atop the urn. This beautifully rendered pen & ink drawing was originally intended for a book by Edward Gorey but either the book or the drawing were abandoned along the way. 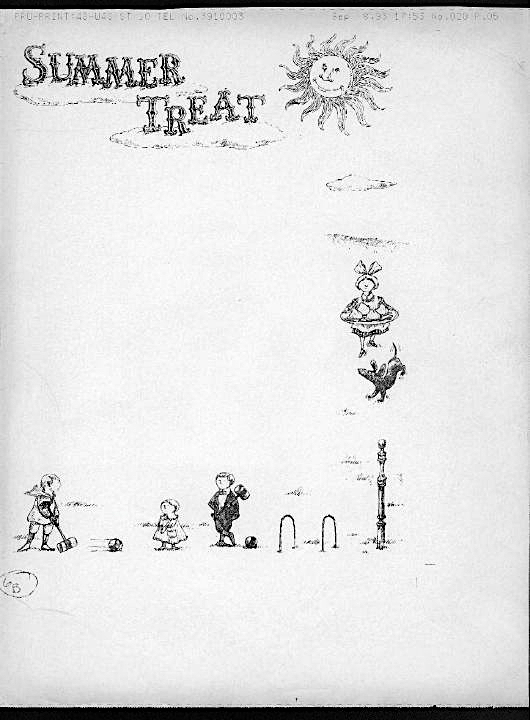 Mr. Gorey later presented this drawing to a personal friend. 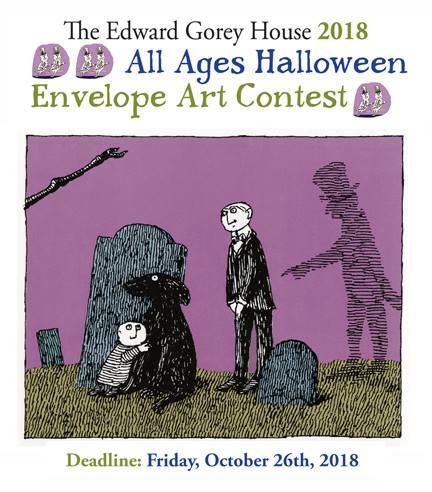 On artwork created for Mr. Gorey's "A" collection books, there will be a hand written date on the reverse side indicating when it was drawn. If a drawing was completed over several days, there is a start date and a finish date. When completed in a single day, there is only one date indicated. This drawing was created on October 1, 1984. Searching Mr. Gorey's published works near (and after) this date, I have not been able to determine what future book it might have been intended for. One possibility would be The Improvable Landscape (1986). 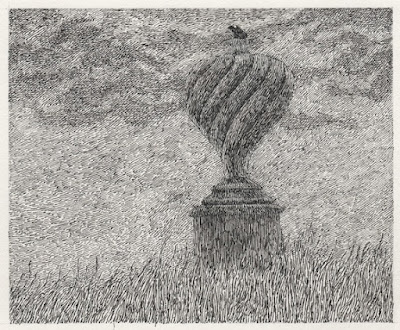 In this drawing, Edward Gorey's talent and skillful manipulation of line is supremely evident. The presence of the contemplative frog atop the urn adds an endearing touch to the work. This two page spread entitled Old-Time Summer Treat is from the July 1964 issue of Friends magazine. Chevrolet produced Friends magazine from 1960 until the mid/late 60's as an auto showroom giveaway extolling the virtues of owning your own car so you could travel and see the "real" America. 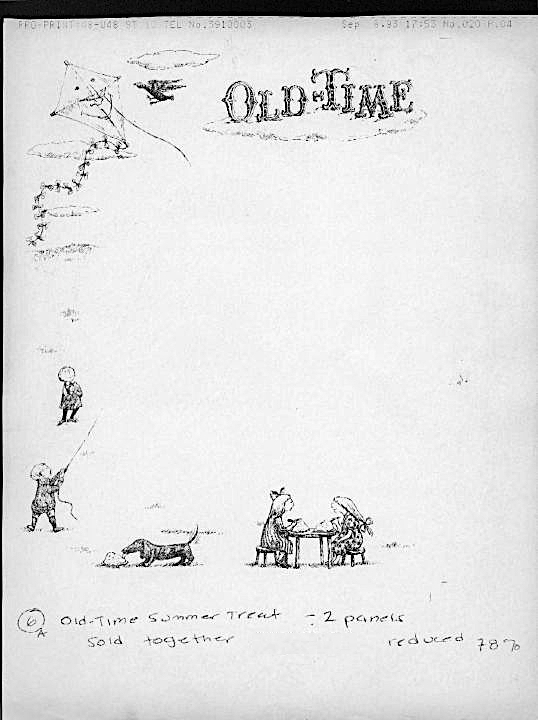 Edward Gorey produced numerous illustrations to accompany articles in the magazine. Long hot summer days are made to be enjoyed with ice cream. 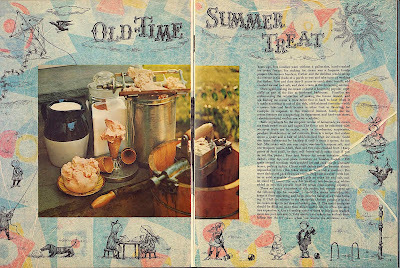 Even in 1964, home made ice cream appears to be a nostalgic treat from the past. The article sings its praises as a tasty family bonding activity, when in fact making ice cream at home required specialized tools, high quality ingredients, a good recipe, time and a certain amount of skill. Perhaps it would have been more appropriate for the auto maker to suggest an outing in the family car to a drive in for ice cream on a hot summer day! Friends' Art director Robert Weeks was an avid fan and collector of Mr. Gorey's works and commissioned spot illustrations for the magazine, acquiring many of the originals once they were used. In 1993 Mr. 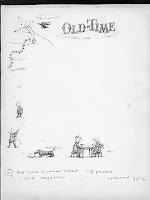 Weeks collection of books and artwork was sold through Gotham Book Mart, and the artwork for Old-Time Summer Treat was included in the pieces being offered. I am showing a scan of the fax that Gotham Book Mart sent me when the artwork was being offered. Due to the size of the magazine, this artwork was drawn on two panels. I was not able to purchase this piece, but did acquire one of the other Friends pieces offered at that time. Old-Time Summer Treat features delightful vignettes of children and animals at play, enjoying ice cream on a summer day with the sun smiling upon them from above. Mr. Gorey uses a playful drawing style full of movement and gentle humor for this piece. 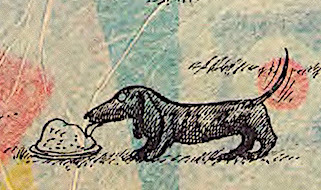 One of my favorite parts of the drawing is the small dog who is enjoying a large bowl of ice cream that presumably was left unattended by the children flying a kite.